As our hometown Super Bowl Champion Philadelphia Eagles recently proved (yeah, we’re still celebrating!) to be successful, a football team needs a great offense. That means a dependable line as well as a talented backfield. And while it’s the backs that tend to get most of the glory, they can’t do it on their own. The linemen are responsible for the nitty-gritty. They do their job in the trenches – mostly out of sight from the casual observer, blocking would-be tacklers, protecting the quarterback, opening lanes for the speedy running backs and talented receivers. A successful public affairs campaign often works much the same way. The Public Relations pros are like the running backs – running with the broader story, alerting the public to the importance of the public policy being promoted, showcasing activities and events in ways that seek to create wider public awareness and broader public support. Their Government Relations teammates, meanwhile, do the nitty-gritty – working within the power structure, targeting the appropriate legislators, governors, staff members or other public officials to make sure the public policy initiative is moving in the right direction, fending off the opposition, opening lanes for negotiation and agreement. When they work together in a well-coordinated team effort, magnificent things can happen. As part of a recent webinar sponsored by the New England Society of Healthcare Communications (NESHCO), presenters from Care New England discussed their efforts to promote statewide legislation in Rhode Island mandating fertility preservation coverage for women undergoing cancer treatments (such as sterilizing surgery, chemotherapy or radiation) that could render them infertile. Early on, Government Relations and Public Relations team members understood the need to work collaboratively. This was important, because, as noted, their focus can sometimes be at cross purposes. The process began with internal meetings with clinicians, cancer specialists, lawyers, and Government Relations and Public Relations team members. The purpose: to ensure everyone on the planning team understood the issues involved so they could set a strategic direction for moving forward. From there, Government Relations worked with their lobbyists and legislative staff to draft proposed legislation to provide protection to women undergoing cancer treatments. At the same time, the team worked on identifying and educating potential sponsors in both the House and Senate, and to garner support from the leadership of both chambers. In the months ahead, the Government Relations team worked to identify and evaluate potential witnesses (doctors and patients) to appear at legislative committee hearings as well as be available for supporting media opportunities. The team also helped draft testimony and kept in close communication with legislators to alleviate any concerns that might arise as a result of the hearings and provide regular updates to key internal stakeholders. Meanwhile, PR worked to get the message out to the general public, in order to start building popular support for measures designed to protect the health and lives of women facing such daunting challenges. Various allies, including the American Society for Reproductive Medicine (ASRM), assisted and provided an official statement in support of the legislation that was included in a news release. That kind of support helped spread the love by encouraging others to raise their voices as well. News stories subsequently appeared in key publications including The Providence Business Journal, Providence Business News, HealthLeaders Media, US News and Beckers Hospital Review. In addition, clinicians from Women & Infants Hospital of Rhode Island provided a supporting op-ed that appeared in the New England Journal of Medicine. On July 5, 2017, Rhode Island became the first state in the nation to require insurance coverage of fertility preservation prior to radiation or chemotherapy treatment that could result in infertility. At SPRYTE, members of our team have been involved in similar efforts over the years, including an effort in Pennsylvania to eliminate the use of certain chemicals in children’s products. The experience was very similar – working a two-pronged approach, one aimed at legislators and regulatory officials, the other focusing on building awareness in the media and among the public about the chemicals in question. 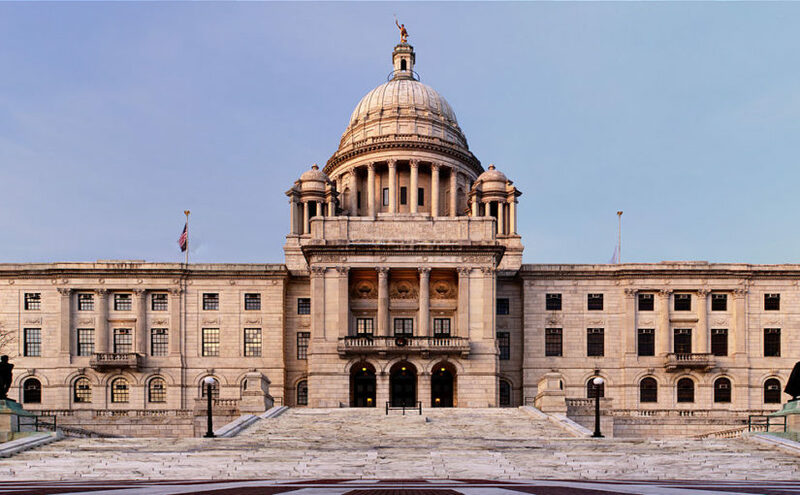 Our experience mirrored what took place in Rhode Island: working with legislative staff and sponsors, identifying and vetting expert witnesses, and updates about new scientific studies supporting the claims that children were at risk. Our story ended somewhat differently; after several legislative hearings, industry representatives agreed to stop using the chemicals in childrens’ products. Nevertheless, the lessons remain the same. Government Relations and Public Relations professionals each bring different, but often complementary, skill sets to the table. To work together, they need to plan together, establish mutual goals, and map out a clear strategy that allows each team to do what they do best without getting in each other’s way. From a public policy standpoint, the results can be game-changing. Given recent events, finding common ground in a discussion over healthcare policy might sound like a fool’s errand. But there’s one area that is garnering strong support from all sides – telehealth. And its popularity continues to grow. For example, Kaiser Permanente, which began using telehealth on a national basis in 2006, reports that 52 percent of its patients (approximately 59 million) received telehealth treatment in 2016. Telehealth is fast becoming a priority throughout the industry. In its “2017 U.S. Telemedicine Industry Benchmark Survey,” released last month, REACH Health, an enterprise telemedicine software company, reported that 51 percent of executives and caregivers surveyed considered telehealth a high priority. Another 36 percent said it was a medium priority. Only 13 percent ranked telehealth as a low priority. For healthcare communicators, it is important for us to have an understanding of key issues impacting our industry – and how they are likely to affect our own organizations, partners, clients, patients, and others that play a role in our business or service enterprises. While people may use the terms telehealth and telemedicine interchangeably, there are distinctions that can be made. Telehealth is a broad term that includes a wide range of remote healthcare services and technologies, including non-clinical services such as providing healthcare information, education and training for health professionals and health consumers. Telehealth also includes health systems management via internet and telecommunications applications. By comparison, telemedicine is a more clinically focused subset of telehealth that primarily focuses on the use of electronic communications and software applications to provide clinical services to patients without an in-person visit. Recently a number of healthcare providers have announced that they are actively adopting and investing in telehealth services. 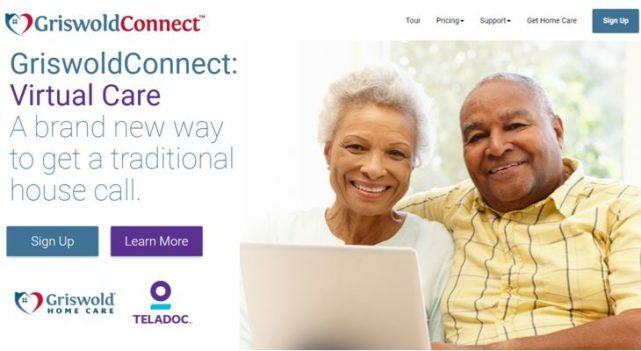 Earlier this year, The Philadelphia Business Journal announced a new joint effort between Griswold Home Care, (Full disclosure: A SPRYTE client) a home care provider with over 200 office locations in 33 states, and telehealth services provider Teladoc. The aim: to give Griswold clients 24/7 access to talk to a doctor or get a diagnosis over the telephone. The Teladoc physicians can diagnose and recommend treatment for a range of medical conditions, including colds and flu, allergies, bronchitis, rashes, and respiratory or sinus ailments, as well as provide short-term prescription refills. Earlier this month, NJBIZ reported that Vanguard Medical Group had partnered with virtual care company Zipnosis to create a new online diagnosis and treatment service that a Vanguard spokesman described as “the wave of the future.” The new program comes on the heels of recently enacted New Jersey legislation (S291) that authorizes healthcare providers to engage in telemedicine and telehealth as a type of treatment covered by insurance. It might sound surprising given the recent volatile debate over national healthcare reform, but support for telehealth is something on which members of both parties have expressed enthusiastic support. At the end of September, Senate Republicans and Democrats unanimously passed legislation called the Creating High-Quality Results and Outcomes Necessary to Improve Chronic Care (CHRONIC) Act of 2017. The purpose of the CHRONIC Act is to enable Medicare-accountable care organizations to expand the utilization of telehealth services, incorporate wider telehealth benefits in Medicare Advantage plans and expand the use of virtual care for stroke and dialysis patients. Meanwhile, his counterpart, Sen. Ron Wyden, (D-Oregon), lauded the bill for placing a stronger focus on primary care by providing “more care at home and less in institutions. It will expand the use of lifesaving technology,” he said. In recent years there has been a continuing evolution of the healthcare provider model into one that is more individual patient-focused and results-oriented. Telehealth is helping to support this evolution by providing a practical means for physicians to treat and counsel patients at a distance, efficiently, economically, and in a collaborative way with fellow medical professionals. Telehealth has been, and will continue to serve a key role in fulfilling the promise of these initiatives, particularly as healthcare providers’ interest in deinstitutionalized care models such as community-based urgent care facilities, virtual medical centers, mobile health programs and remote clinical services continues to grow. As healthcare communicators, we’re accustomed to serving many masters – from hospital administrators to clinicians to volunteers to patients to government regulators, and more. As telehealth continues to roll forward, it will be more important and more challenging than ever to work with these often widespread and disparate groups to ensure that your messaging is clear and consistent across all communications channels, and that interested parties have access to timely and accurate information.